MarketGrid is capable of 190,000 orders per second – around three times faster than the closest competitor. The system has been deliberately and carefully designed to take full advantage of today’s multi-processor, multi-core systems with large – virtually unlimited – amounts of fast memory. MarketGrid has built-in timing metrics that can time-stamp each transaction as it transitions through the various components of the system. Using off-the-shelf PC hardware, the matching engine itself can process orders under two microseconds, whilst a client process can achieve round-trip latency of less than five microseconds. MarketGrid is built on highly evolved, next generation architecture. Not only is is the fastest technology of its kind, it’s also supremely flexible. 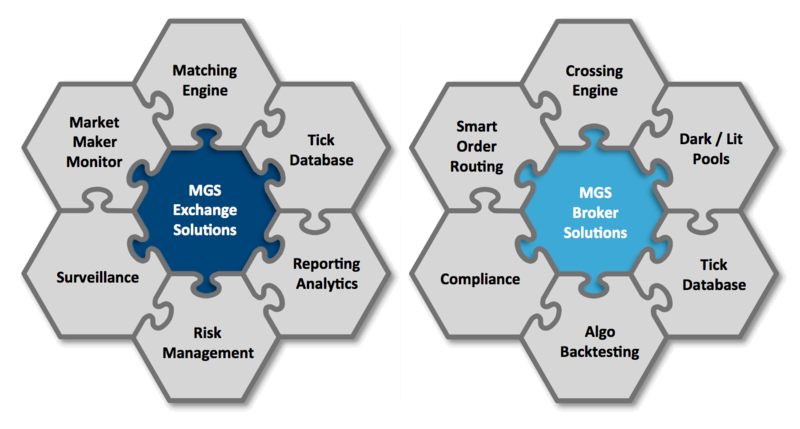 MarketGrid can be configured to trade any kind of instrument, and can add in functionalities such as surveillance and reporting without sacrificing performance. This is because it’s based on a data model that automatically generates much of the system’s software infrastructure, resulting in a system that adapts itself to change in a way no technology has been able to do before. Vastly reduce the cost and time of implementations for a huge range of institutions. Future-proof our systems by mitigating the risk of redundancy within the code. Deliver flexibility and adaptability far beyond the reach of our competitors. Offer a system that is limitlessly scalable without the need for expensive upgrades and additions. MarketGrid is capable of 190,000 orders per second – around three times faster than the closest competitor. MarketGrid is built on highly evolved, next generation architecture. Not only is is the fastest technology of its kind, it’s also supremely flexible. MarketGrid is fully integrated with kdb+, the most advanced and highest performance database for financial data. MarketGrid is fully integrated with kdb+, the most advanced and highest performance database for financial data. kdb+ integration allows us to build and deploy highly sophisticated support applications around the matching engine that interact in real-time without impacting on the performance of the core matching function.